Alternative Medicine, Torah, and Intellectual "Borer"
Borer ("selecting") refers to separating out, by hand, something undesirable from something desirable. The Torah tradition identifies borer as one of the thirty-nine major categories of work involved in preparing items for the Mishkan (mobile Temple), work which is forbidden to do on Shabbat. But what I'm alluding to here is not the separation of unwanted pebbles from plant material. I'm talking about borer in the mind - separating out untruths, myths, and superstitions. I count this as a highly constructive activity, one which not only is never "forbidden" on any days of the week, but is probably obligatory at all times for anyone who wishes to eschew idolatry, in the sense of attachment to falsehood, and who wants to live with a "lev tahor," in the sense of striving for clarity of mind. I'll start off with an anecdote about alternative healing, and then move onto matters pertaining to Judaism. I used to be open to any and all alternative health practices, allowing for the possibility that they may hold secrets for tapping into hidden "energies." But now I've become, shall we say, a good deal more "discriminating" in my taste for this kind of thing. (Here's a great comedy sketch that pretty much sums it up for me.) My wife is also relatively skeptical, wary of "woo" (a.k.a. hooey, bunk, baloney), but she's still open to trying these things from time to time. Case in point - she heard about a local "healer" and took our son in to try to deal with certain lingering health issues which we haven't had particular success in tackling using conventional means. This healer's methodology was to ask the patient questions, while holding a special type of dowsing rod - a kind of wooden stick with a metal, spiral-shaped attachment on the end. When she asked questions, the dowsing rod would "move" in one of two directions, indicating either a "yes" or a "no." It's essentially used as a diagnostic tool, to hone in on what exactly is causing the health issues. Now, I wasn't there, and I haven't talked to this healer about her beliefs as to how this "works." But here's a video with what I imagine is a similar technique, i.e. "dowsing," wherein the person claims to be "training" the rod, and that it's the rod that "answers" the questions, not him. (See around 6:40 to 8:30 of the video.) He says straight out: "I am not moving the rod." But if you watch closely, it is abundantly clear that his hand most definitely is moving - and I don't mean in response to the rod, I mean before the rod starts moving. Which should be obvious even without watching closely. After all, if the rod could move on its own, why not wedge it into a wall, ask questions, and just let it do its thing? Because... it needs to connect with the "energy field" of the healer? Because... it moves the muscles that are needed to move the rod? Because... because of the wonderful things it does? "I can see you rolling your eyes," my wife said to me. Which I have no doubt was true. But then the thought occurred to me: Yes, precisely, a subconscious movement! Let me explain what I mean. Billions of years of evolution have imbued us with a formidable intuitive capacity, i.e. the ability to make spot assessments of circumstances, to sense things about ourselves and our environment, in order to take the kinds of actions that will help us survive. Only since eating from the Tree of Knowledge (figuratively speaking - literally, since the conscious mind has developed the faculty of analysis, comparative reasoning, abstract self-awareness and reflection), we now have the tendency to "over-think," rationalize, and "abstract" ourselves away from the more primitive, instinctive tools of assessment. And while it's certainly a "plus" that we can think, ponder, and circumvent our instincts, it can also be argued that instinct and intuition sometimes have something constructive to say. The question is, how can we access this faculty when it's normally so obscured by our everyday, conscious thinking? Well, maybe by using techniques that help us to temporarily bypass the conscious mind in order to access our more subconscious intuition. To me, that would be a rational "perush" (explanation) of the dowsing rod technique - it simply helps the practitioner focus and hone their own subconscious intuition about the patient standing in front of them. Nothing magical, just a way to articulate certain subtle aspects of the person's presentation (posture, expression, gait, eyes, emotions, etc. ), which they may have picked up on subconsciously but wouldn't necessarily be able to express were it not for this unconventional technique. Now, I'm not saying it "works" necessarily. As a teacher of mine likes to point out, intuition can be very right, and it can also be very wrong. But at least it's a way of thinking about the idea of dowsing - something that's almost always explained in ways that are patently absurd - in a more rational, intellectually honest way, and at the same time allowing that it may be a viable technique for gathering certain types of information. Maybe. But going back to the idea of "borer," here's a case where it's possible to extricate, separate out, the superstition and magical thinking, and still come away with a technique that has some utility. The problem is though, with many other alternative healing practices, the magical thinking is the utility. Take homeopathy for example. By all accounts, the alleged efficacy of homeopathic remedies is attributable solely to the placebo effect. Point being, once you methodically debunk the dubious principles of homeopathy, you have effectively stripped it (i.e. the patient's mind) of any placebo effect and therefore taken away whatever utility it had. So there is no "separating out" the hocus-pocus in homeopathy. The hocus-pocus (i.e. the belief in homeopathy) is the only thing it has going for it. Now let's bring this discussion to Judaism. My whole approach in Torah and Judaism is one of "borer." As I've said before, I'm an unabashed believer in cherry-picking, taking what I believe to be constructive, positive and true, from the tradition, and rejecting what I see as either untrue or outright damaging or immoral. I'm attempting to construct (i.e. reframe, interpret) a version of Judaism that is entirely free of myths, superstitions and self-delusions. Yes, I recognize that these have been part and parcel to Judaism for the last 3,000+ years. But if we are to be a people of "emet," then we must be unafraid to face the truth, even if it hurts, and even if it requires us to acknowledge untruths in the Torah itself. An important clarification: When I say, "even if it hurts," I do not mean in any way to imply that it's okay to hurt others, insult them or otherwise tear down their internal world, in order to show them the "truth." That would make us "skeptical fundamentalists," or "militant rationalists." What I mean is that as part of our own personal intellectual growth process, in order to make headway, we sometimes have to destroy the castles we've built in the sky, "disillusion ourselves" of the illusions we've relied on. And that can be truly painful. But it's a growth-oriented pain, one that - if we persevere, and we do our job of formulating a positive vision of Torah to replace it - can pave the way for a more robust foundation. When I say "untruths in the Torah," first of all I'm referring to anything which is plainly mistaken according to our current knowledge. So for example, the Creation story is based on Bronze (and/or Iron) Age ideas about how the world - and human life - came about. Yes, there are other lessons to be learned from these narratives, but as a cosmology it is incorrect, period. So rather than make the ludicrous claim that the Creation I and/or Creation II narratives are literally/historically "correct," and that science is wrong, we owe it to ourselves as intelligent people - and as Jews - to be honest about it. Rather than embarrassingly (though, I admit, creatively) claim that the narratives in fact "knew" what we know today and can (if you do enough interpretive gymnastics) be reconciled with modern science, we simply need to be honest here and acknowledge that the Torah was mistaken. Which is not to "condemn" the Torah. I wouldn't have expected it to say otherwise. It is what it is - a product of its time. But it does condemn us if we continue to cling to untruths. It also doesn't mean that we throw out the text. We can use it - as has been done throughout the centuries - as a way of carrying interpretations which are meaningful to us (i.e. do "work" for us). Again, like the "dousing" idea, the goal is to take out the myth and leave what works. Another example: The "Shaken Faithless" blog recently put up a post trying to rationalize the traditional view that ktav Ashuri (Aramaic - lit. "Assyrian" - script, i.e. the primary script used in Judaism for the past 2,500 years, to which great mystical significance has been traditionally attached) was the original script of the Torah. How can we explain this historically, given that the earliest known Israelitic writing (i.e. 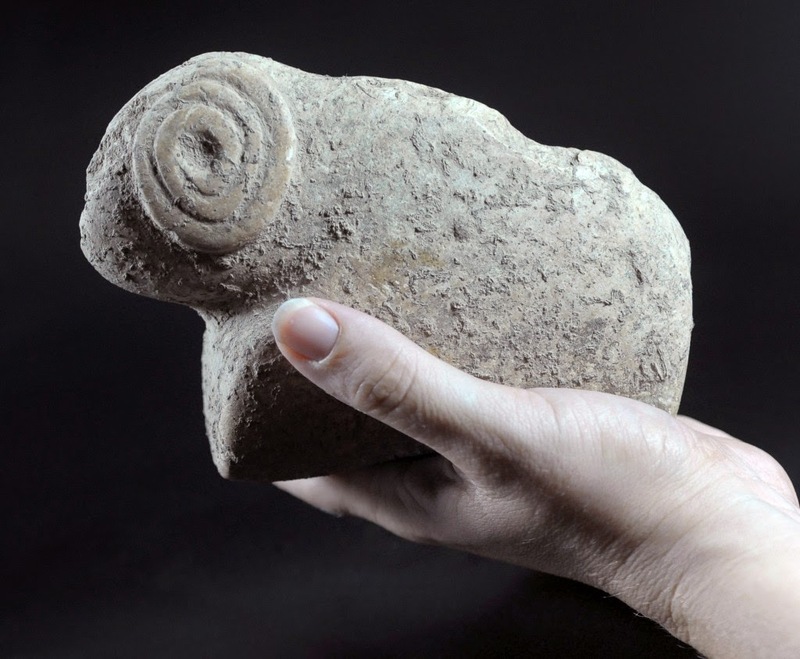 early First Temple period) is in ktav Ivri (Paleo-Hebrew script), not ktav Ashuri? 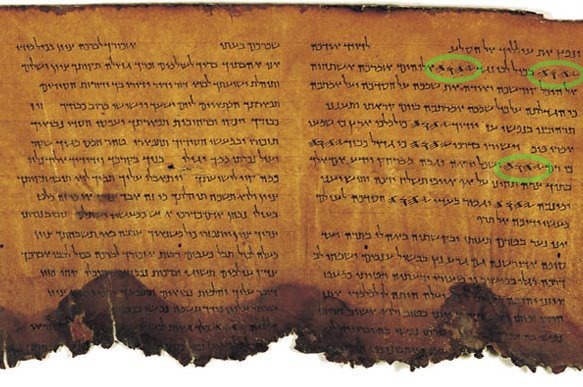 In the post, Rabbi Jacobs (with whom you may recall I had a lively back-and-forth discussion a few months back) cites a different blog, explaining that ktav Ashuri was the original "sacred" script of Hebrew, and that the First Tablets were written in ktav Ashuri, but that after the Israelites sinned with the Golden Calf, they were deemed "unworthy" of such a sacred script, and so from the Second Tablets onward, everything was written in ktav Ivri, which held less sanctity. On its own, this might be a reasonable "svara" (line of reasoning). The problem however is that all of our historical/archeological evidence says otherwise! After all, how did ktav Ashuri get "reintroduced"? Was it "secret knowledge" held by the pious few since the time of the First Tablets, yet somehow "leaked" to the Assyrians/Arameans around the 8th Century BCE (i.e. 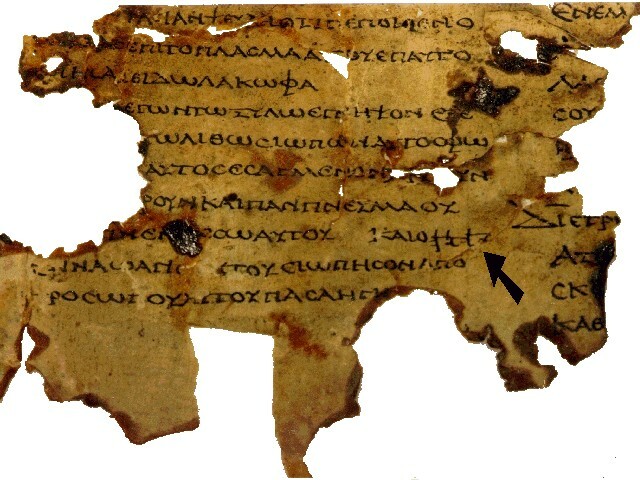 when the script was first known to exist)? Or was it a script that the Jews picked up during the Babylonian/Persian exile, Aramaic being the lingua franca in that region at that time? By all reasonable estimations, it was clearly the latter. Ktav Ashuri became so ingrained in Jewish life that it gradually replaced ktav Ivri over the course of the Second Temple period. So why would people deny all this? To me it reflects a mood of desperation throughout the Orthodox world, about so wanting the Torah tradition to be "right" that ironically it is willing to rationalize blatant untruths in order to make its case. My recommendation: Let it go. Don't be afraid of the truth. Acknowledge that in this case the traditional concept is wrong. Again, Chazal lacked the knowledge we now stand equipped with today. Their error was entirely excusable. It's ours that is hard to justify. And we can still make drashot (interpretations) involving the "traditional" (Aramaic) Hebrew letters, in order to convey ideas that we find meaningful (e.g. the Midrashic idea that the letters of "emet" have "two legs" each, i.e. that truth "stands," whereas those of "sheker" only have one each, i.e. lies will "fall." And I'd say that's a particularly meaningful drash, given this discussion!). Once again, just separate out the myth and keep what works. And this same "borer" principle obviously extends to practices as well: We can put on Tefillin, shake the Lulav, observe Shabbat, but without having to invest these things with any myth or superstition. We can enjoy these practices, derive meaning from them, and use them as anchors for our Jewish identity, but without overstating the matter - i.e. without claiming that these are "commanded" from On High or that there are metaphysical consequences to doing them or not doing them. Yes, like alternative medicines, there are some parts of Judaism that are harder to do "borer" with than others. Meaning, there are whole areas of the tradition that arguably need to be "separated out." For instance, there are a slew of commandments that we don't have to deal with today (e.g. sacrifices, monarchy, slaughter of Amalek, death penalties like stoning, etc.) because fortunately, thank God, they only become practically relevant in a theoretical "messianic" time. So I'll leave all those out for now. But as I've said on this blog and on my other (dormant) blog, I have a big problem with certain parts of Judaism that are very real for us today - such as women not being treated equally before the law in Jewish tradition. In 21st Century free society, where women commonly hold the highest, most esteemed positions, maintaining the status quo of Halacha is, to me, totally indefensible. There's no "reframing" the issue to take out the myth - e.g. "Yes, legally you're your husband's 'acquisition', but we think of you as equals..." No, I see no way around making radical changes in this area. And in commandments relating directly to supernatural beliefs, e.g. "loving Hashem," there's also a problem "separating out" the myth. Because that's the crux of the mitzvah! Yes, some who are uncomfortable with the idea of mandated beliefs may try to paint the tradition as being ultimately anti-dogmatic, that really there are very few if any beliefs required in classical Judaism. But I'm not sure that is entirely honest either. The honest thing to do is to acknowledge that such beliefs are traditionally a part of Judaism, and to either reject them on a personal basis (which I already do), or remake Judaism in a way that de-emphasizes them (which I'd really like to do if I had my druthers). And of course prayer is something that is hard to sustain once you take out the myth. Yes, there's the communal aspect of prayer. There's the personal, meditative, self-reflective aspect. There's the aspect of focusing on things that are important to us (e.g. healing, sustenance, peace, etc.). All these are technically "rational" aspects of prayer. But I can say from personal experience that davening is difficult to want to do (at least on a three-times-a-day basis) without the idea that God "wants" us to, or that God is "listening," or that God will "answer" us in our time of need if enough of us pray long enough and hard enough, and say the right combination of words at the right times. Take the "God" idea out of the equation and prayer loses 90% of its "oomph." And like homeopathy, a lot of the traditional Orthodox ideology (i.e. the whole religious "mindset") is based on placebo. Meaning, if you take out the myth and superstition, you've now taken away what "works" for so many people - e.g. 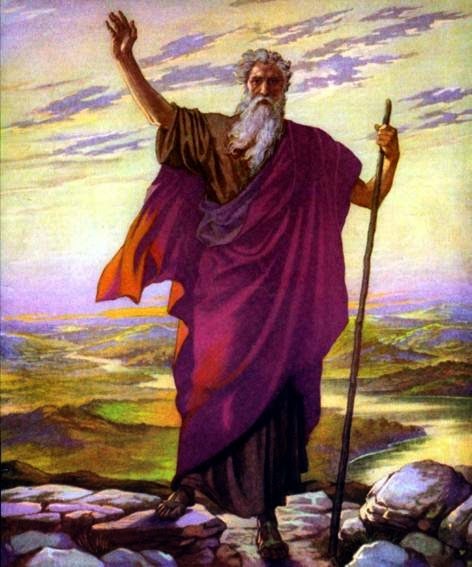 the sense of God's protection and providence, the belief in Olam Haba (the "next world"), that evil people will "get theirs" in due time, the hope for Mashiach, the idea that the universe and our lives have inherent purpose, that by doing mitzvot we "accomplish things" in Shamayim (Heaven). These are beliefs that give people strength, hope, fortitude, a sense of purpose and in some cases the will to live itself. It's one thing not to start a person on a placebo - and I would agree that we should work to decrease such "dependence," but once a person's "on" it, once they're "hooked," we have to think very carefully about when and how to wean them off of it. So again, I'm wary of waging "intellectual jihad." I don't believe in tearing down people's worlds. However... I don't believe that we should "censor" ourselves either. It doesn't say much for our respect for people if we think they're so fragile that we can't even express what we believe to be true and untrue, and why. In fact I think we owe it to people, to those who are ready to be "mekabel" (receive, digest) these ideas, to present them honestly and articulately. And perhaps most importantly, we need to keep working to develop a vision of Judaism that's rich and robust and compelling - and one which doesn't rely on any "woo" - so that people who dismantle their own castles aren't forced to abandon the "ruins" of their Judaism, but instead have something tangible to start the process of rebuilding. There was a time I would have described the shofar as a spiritual "technology" of sorts, that simply the sound of it reverberating in our ears produces a corrective change within. Kind of like Draino for the neshama - it clears the system, washes away the gunk that's built up over the past year, restoring "flow." So no, you can't use a trumpet, or a non-kosher shofar, or listen to an audio recording of a shofar - not because these things are inherently "bad" but because they don't "work." There was a time I would have been concerned when I missed one of the hundred shofar blasts - if say I had to leave the room or if the Baal Tokea wasn't blowing properly. Again, it wasn't out of a concern over "aveira (sin)" - it was that this special yearly "treatment" was being compromised. For me, it was never about Hashem scrutinizing my every move to see if I was listening to the shofar, that somehow I'd be in the celestial doghouse if I failed to comply with Halacha. My conception of Halacha was as a how-to guide for maintaining/repairing our "energies," albeit on subtle, hard-to-detect level. (Indeed, extremely subtle. So subtle as to perhaps be... pure self-suggestion!) I saw Halacha as the physical instruction and Kabbalah as the explanation. All the stuff about the shofar "confounding the Satan" in order to arouse the "compassion of the King," so as to give us a good "judgement" - I never bought into that. It always struck me as a mashal, a metaphor for certain mysterious, nonphysical processes at work, ones which are particularly "active" at the time of Rosh Hashana. And I reveled in the idea that Judaism possessed such a technology, that for millennia it has known the "secrets" of life and inner workings of the universe, and that some day - after we reached a degree of maturity, understanding and tikkun, when we were "ready" - this system would be fully "revealed" so that all of humanity could benefit. All very beautiful and exciting, yes - but also, as I woke up to eventually, completely and utterly deluded. Sure, if you had to pick between a delusion that's creative, forward thinking and benevolent, and a delusion (like say, on the part of "ISIS") that's barbaric, psychopathic and destructive, you'd certainly choose the former. However, all things being equal, why not be benevolent and non-deluded? That's my earnest goal, at any rate. So this morning I heard someone blowing the shofar in a nearby house. And it struck me - wow, what a crude and almost prehistoric custom, blowing through a ram's horn. It's basically a throwback to an ancient world rife with tribal genocide, witchcraft medicine, animal smells everywhere, and a notable lack of plumbing. We're talking about an instrument used to assemble the masses, march the men off to war, etc. Why the heck are we doing this now? Why is this so "precious" to us? Because it ain't a "technology." And it ain't, by any stretch of reason, the "will of God." The idea of being jarred from the quasi-slumber of day-to-day existence, pausing for a moment to focus on those things that truly matter to us, reflecting on what we're doing with our lives and recommitting ourselves to the path we think we ought to take. The fact that life is short, unpredictable, and to a large extent outside our control, and that we stand in awe, trepidation and hope at what the year to come may bring. The notion that we have certain feelings and experiences that are impossible to fully express in words, and which in an odd way we feel we can give some sort of voice to in this unique and wordless "sound." And that's all the shofar needs to be, all it needs to "do." Which is plenty. I think it's a shame when we're made to believe it's not, that our human experience and Jewish experience are somehow lacking, deficient, even worthless, unless we see them as also doing something of "mystical" or "cosmic" significance. To me, this is a type of "spiritual sensationalism," getting people hooked on the idea that if it's not "magical," it's boring. If it's not "larger than life," it's all kind of "meh." That's why I prefer more of a humanistic approach. Whatever is going on "out there," in some otherworldly sense, is an interesting subject to ponder over a beverage, but back here on the planet Earth it's about people - us and our experiences together. To quote yesterday's parsha, "It is not in the heavens... neither is it beyond the sea... for the matter is very close to you." And with that, I wish everyone a Shana Tova. Whenever I hear miracle stories about people being healed from disease or saved from peril of one sort of another, I typically think two things: 1) How immensely happy I am that the person in question did not meet an untimely demise. 2) Would it be in bad taste if I suggested to the bearer of the good news that the explanation is no doubt far less "miraculous" than they're alleging? Generally, I err on the side of thinking it's poor taste, which is why I'm glad when I hear someone else speak up about it, or in this case "sing" about it – and especially when it's done in a rather brilliant, informative and entertaining fashion. Tim Minchin is a comedian, musician, actor and fairly unabashed skeptic of supernatural and paranormal claims. (HT to a good friend for introducing me to his work!) In one bit, Tim talks about being approached by a fellow, "Sam", who claims that his mother was diagnosed with a visual degenerative condition that required surgery, but that she was miraculously healed after their church prayed on her behalf – this being brought as "evidence" for God. This inspired Tim to write a satirical song called "Thank You God," about his now having now “seen the light” as a result of the story. 1. Coincidental temporal correlation – the fact of the prayer and the healing coinciding being simply a... coincidence. After all, think about all the millions of stories that don't get reported, either because nothing discernible happened during or soon after the prayer, or perhaps because the time of prayer actually coincided with the person’s demise rather than their recovery. 2. Lack of scientific education – that people are more likely to report it as a "miracle" because their lack of scientific education makes them more prone to magical thinking. 3. Potential that people are lying – that all or parts of the story are simply a fabrication. 4. Confirmation bias – the fact that people tend to favor explanations that confirm previously held beliefs, i.e. 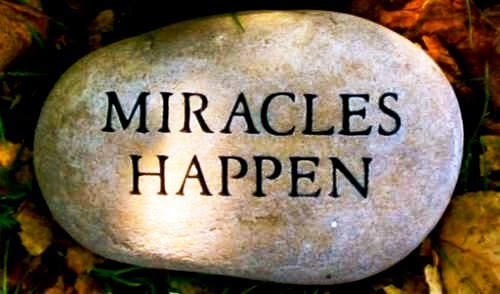 the belief that there is a God who responds to our prayers by working miracles. 5. Groupthink – that although one might cite large numbers of believers as a "proof" that something is real, all this proves is that in groups, people are unlikely to express dissent – even if an idea sounds ill-conceived. Hence the "Emperor's New Clothes-style fear of exclusion" – that people will go along with something ridiculous in order not to be excluded/derided. 6. Mass delusion – again, even though you have a large group, human psychology makes us in fact more apt to subscribe to delusional thinking when others around us believe it. 7. Misdiagnosis – perhaps the person was diagnosed incorrectly at the outset, and so the fact that they’re "healed" of a condition they never actually possessed is certainly no miracle. 8. Spontaneous remission – it's a known phenomenon that occurs on occasion. Statistically improbable? Yes. But someone has to be that "one in a million" after all. Unknown mechanism? Perhaps. But just because we don't necessarily know how something works doesn't make it a "miracle." 9. Record-keeping glitch – someone along the way may have mistakenly recorded the person as having the condition, which then became part of their health history. Point being, any of these explanations is orders of magnitude more likely, and more logical, than attributing the healing to something "magical" or "supernatural." This is especially so when you add in other factors (which Tim alludes to in other verses), such as the existence of horrible suffering throughout the world. Somehow, children dying of hunger and disease did not merit God's intervention, despite many people's fervent prayers, and yet Sam's mother did. 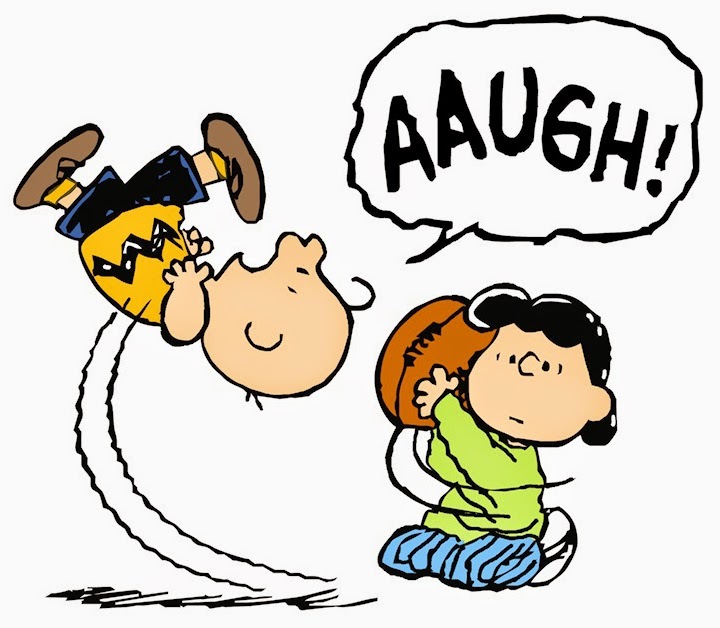 And to make matters worse, there really is no such thing as God not intervening. The same God who performed this rather modest "miracle" is the God who's also very much responsible (by theological implication) for incalculably profound and widespread human suffering. Does this mean we can't be thrilled when we hear stories of recovery and tremendous good fortune? Of course not. We should be thrilled. Does it mean we should go around mocking people to their faces for not thinking things through properly? Of course not. We need to be decent and kind. But there is a place for education, to help people learn critical reasoning skills – to be able to distinguish between magic and science, fantasy and reality. And of course, there’s also a place for humor – even (or you might say especially) when it's highly irreverent! I was driving at dusk last night when I saw a small, white-yellow light in the sky in front of me, off in the distance among the strips of darkened orange clouds that formed an otherwise lovely, innocuous sunset. I squinted, wondering if maybe it was just a glare in my windshield, my eyes playing tricks on me. 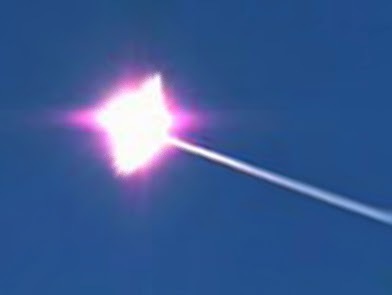 But in the space of one or two seconds, I saw another light - this one traveling at high speed at a diagonal upward, toward the light in the cloud. That was followed half a second later by another fast-moving light traveling in the same direction. The first one then kissed the light I'd seen in the cloud, and in a flash, both were gone. A split second later, the second one also flashed and faded. As soon as I saw the first light fire upward, it was entirely clear to me what I was looking at: Israel's "Iron Dome" defense system, knocking out a missile lobbed into Israel by Hamas. It was an amazing sight - like something out of a dream. It was quiet, no sound (at least none that was audible from inside my car). I simply saw what has been in the news unfold in front of my own eyes. I saw actual war for the very first time. This wasn't on television - it was live, occurring close enough to me (and/or high enough) that I could see it through the windshield of my car. This week and last, on several occasions, we heard the ominous wail of the air raid siren. I ushered my family into our "safe room," where we'd sit for ten minutes, chat, and come out wondering what (if anything) happened. But to actually see a live projectile of war, and to watch it explode in the distance - that was something new for me. And what was chilling was that what I had seen in the sky was not merely some impersonal instrument of war. No, it dawned on me that in fact it was very personal indeed - this missile was actually intended to murder me. I say "me" because if the missile had struck my car and killed me, Hamas would have taken that as a "successful hit." So in a sense, I was the target of that missile. And I say "murder" because I am a civilian, a noncombatant. To go out of one's way to specifically target a random civilian for death is to attempt to commit murder, and to do so as part of one's political strategy is terrorism. Without getting into a whole political diatribe, I do want to say two things I've been thinking about in relation to recent events here in Israel. 1) Despite explicit evidence of Israel doing everything it reasonably can to avoid the deaths of Palestinian civilians (e.g. by issuing warnings to evacuate, by abandoning missions when it sees that civilians are nearby, etc. ), Israel has nonetheless been accused of "targeting civilians" in Gaza. Not that it is accused of sometimes making the terrible mistake of targeting the wrong location (which it has). Not that it is accused of killing civilians who are either caught in - or deliberately placed in - the crossfire (which it has). No - it is accused of specifically targeting civilians. I for one do not believe that for a second. One can debate whether Israel's response has been heavy-handed, not careful enough about preventing innocent civilian deaths. The question of how vigorously to go after Hamas operatives, militants and weapons caches if you know you're bound to kill innocent people is a very difficult moral and strategic question, one which Israel clearly struggles with. Has Israel taken the right steps in this regard? Can it still claim the moral high ground? I don't have an answer to that. This is very murky territory here. But if there's one thing that is perfectly clear, without any room for doubt whatsoever, it is that Hamas absolutely does intentionally target civilians. It explicitly, proudly deems the deaths of Israeli civilians to be a great success, a cause for celebration. In fact, the deliberate killing of Israeli civilians (i.e. murder and terror) is its whole modus operandi. The only reason it hasn't been better at this is due to its inferior firepower, lack of expertise, and of course Israel's defenses (including Iron Dome), intelligence work, and efforts to strike at Hamas' military infrastructure. But if Hamas had the technological capacity to kill mass numbers of Israelis, do you think it would hesitate for a single moment in doing so? Of course not - we are talking about people who are ready and willing to martyr themselves in order to kill Jews/Israelis, for goodness sake! Another thing is clear: Israel would not be bombing Gaza right now if Hamas did not rain missiles on Israeli towns for weeks on end, and if it were not continuing to do so right now. This is not a "cycle of violence." It is a cycle of attempted murder and the attempt to stop the would-be murderers. It's a cycle of terror and the attempt to stop terror. One person's terrorist is not another person's "freedom fighter". One who fights for freedom by targeting random innocent civilians is a terrorist, period. And this brings me to my second point. 2) Over the past week or so, I've heard friends and neighbors of mine, religious Jews, otherwise decent people, propose that what Israel really needs to do is to "flatten" Gaza, "carpet bomb" it, "raze it to the ground." I challenged one such person, saying that what they're suggesting sounds a lot to me like terrorism and murder, if not outright genocide (not to be confused with hyperbolic accusations of "genocide" being leveled at Israel now by some deeply confused people, including Palestinian Authority head Mahmoud Abbas). This person went on to justify his suggestion on the basis that this is precisely what Hashem told Bnei Yisrael to do to Midian - to kill every man, woman and child (excluding female virgins). I responded that we don't live in such a world anymore, and that now a moral person needs to look out for innocent life. To my consternation, we actually had to agree to disagree on this point. Following this conversation, I had it in mind to write a post linking fundamentalist belief with calls for genocide. But then over Shabbat I heard another friend quote a secular Russian-Israeli he knew, who likewise proposed that we should "flatten" Gaza. And I realized that this isn't just a "God" issue. Both religious and secular people talk this way - just that the former "dress it up" with God-talk and verses from Tanach. What is the issue then? I think it's simply what many people do when faced with what appears to be an impossible problem - they want to make it "go away" - eradicate it. And in the case of Gaza, the way to do that is to look at the place as one big den of terror, a simmering "chullent" of hate and would-be killers. That way, the countless innocent civilians - families, old people, children, people just living their lives - are batel (nullified, cancelled out) in the chullent. Their "taste" is no longer discernible in the pot. Meaning, when the sensitivity to individual human life is blunted, rationalized away, willfully overlooked, it doesn't affect a person's conscience... Another chilling realization. Yes, I agree that we're talking about a very real problem with no great solutions in sight. I also understand that "war is hell," and that during times of war, a certain level of harm to innocent civilians is tragically going to be incurred. But no serious person (even among right-wingers) in the Israeli government, no leader in the IDF, would ever propose as a realistic option that we should "raze" Gaza - i.e. kill 1.6 million human beings! Because that is completely psychotic. Yet you hear otherwise "normal" people say it without batting an eyelash. Talk about not being able to "claim the moral high ground" - we're talking here about something so incalculably, stupefyingly, spectacularly immoral that it nearly defies comprehension. All I can say is thank God these people are not in leadership positions. Or... Maybe they are. Maybe our leaders do "think" these things. Maybe they even "wish" for these things. But they wouldn't dare "propose" such an idea publicly. So perhaps that's what it is - a whim of fantasy. It's human nature to want to "zap" your enemies away, like saying: "Imagine a world with no Iran, no North Korea, no Islamic fundamentalism..."
But when you start to get into statements like, "Here's what I think we should do..." Is that really a "fantasy" we ought to indulge? Is switching off human compassion something we should ever possibly tolerate, much less in "polite conversation" amongst friends, much less in a supposedly "religious" Jewish community? Of course we need to protect ourselves first and foremost. But we cannot, must never, cease caring about innocent human lives. If we lose that, we truly lose ourselves. 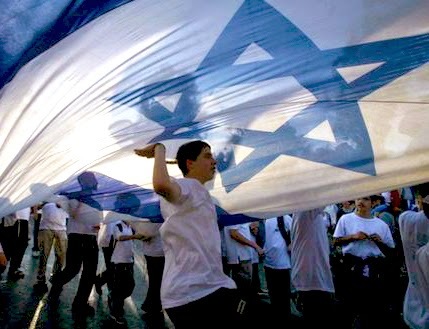 We lose everything the Jewish nation stands for - or at least what it "ought" to stand for. So I go back to what I said earlier about it being an act of "murder" to specifically target civilian noncombatants. Not only do I believe we need to be abundantly clear about this point, shout it out from the hilltops, but to me this may actually be our one hope for peace, the one common ground Israelis and Palestinians (at least the sane ones) can stand together on. The lives and welfare of innocent civilians deserve our highest concern, our most vigorous efforts to protect. Civilians do not cease to be "innocent" merely because they reside on the "wrong side." We must go after "murderers" and "terrorists" (i.e. those who target civilians) and stop them before they have the chance to inflict harm. It shouldn't matter whose "side" a murderer is on. A murderer must always be considered as being on the "other side." Those engaged in efforts to protect innocent civilians - no matter what their culture, religion or nationality - need to be considered on "our side." As obvious as such principles ought to be, I realize that such a "mutual commitment" is arguably a long way off. But if we want to give our children, or at least our children's children, the slightest chance at a bright and peaceful future here in Israel, these are principles we had better start rallying around - and soon. My wife and I went to the Fraenkel shiva tonight. I'll offer a series of semi-random thoughts - some just to give a sense of the scene, others to say what went through my mind. As we approached, some kids were directing traffic and told us where to park - on a different street and a bit of a walk away from the Fraenkels. I thought that was considerate - i.e. not to inundate the Fraenkels and their immediate neighbors with traffic. On the way to the Fraenkels, a family was outside offering water to passersby (it's been hot here) - also very considerate and kind. We got to the house itself, which was abuzz with activity, inside and out. There was a small tented area on the sidewalk with maybe a dozen people doing some "night seder" learning. Avi and Rachel (Naftali's father and mother) sat on the back patio, with around forty people gathered around each of them. People were milling around in every other corner. The crowd was mostly dati leumi (national religious), with a smattering of charedi and secular. I walked with heaviness and trepidation through the house on the way to the patio. What flashed though my mind was what a kodesh (sacred) space every home is, how much time together - love, laughs, meals, games, conversations, fights, all the "stuff" that makes up family life - goes into that space. And here I am just strolling through, oblivious to all that has transpired in this space. And this particular space is the one that Naftali used to inhabit. But no more. His voice, his laugh, will no more echo in these walls. Though at the same time, his presence - in the form of all those memories - will always be felt there. Naftali's younger brother, must have been 8 or so, flitted around from one area to another, excited by the crowd, playing a little riff on his harmonica. I was thinking about how grounding it is to have younger children around during times of grieving. Even though they may not "get it" like adults do, that itself is a gift - it's a reminder that life goes on. 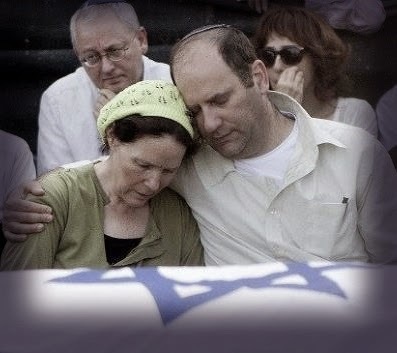 When I first saw Avi Fraenkel, clearly looking tired (from both the pain and the shiva no doubt), my thought was: This is the person who's been in the news across the world, but he's simply a father bereft of his sweet, beloved son. And in that way he's no different from anyone who's had to endure the pain of losing a child. Rachel's eyes were trained intensely on each of the people in front of her, greeting them, listening to them, and offering words of comfort to them. Which got me thinking that as much as shiva is designed to offer comfort to the mourners, often times it is also a comfort (i.e. a vehicle for grieving and processing) for those outside the immediate family who also feel the loss. For complete strangers like us who went to the Fraenkel, Yifrah or Shaer shivas, there's a mix of wanting to offer them "chizuk" (strength) and comfort, and also dealing with the sense of grief that gripped so much of the nation. I was thinking that after all the activity of the night is over, Avi and Rachel will go to bed - all will be quiet, and they'll stare out into the darkness of their bedroom, exhausted and grateful for the outpouring of love and support, and at the same time all too conscious of the reason for all that support, of the new reality that is not going away. Their son is gone forever. Nof Ayalon, where the Fraenkels live, near Modi'in, seems like a place we could live - religiously "chilled out", nice homes and apartments, friendly, clean neighborhood (or at least so it seemed at night). We have a son the same age as Naftali, who took the same national bagrut (matriculation) exam a few Thursdays ago, at a different high school. Just that our son made it home. Naftali (and his friends Eyal and Gilad) never did. When tragedy strikes someone closer to you (culturally, demographically or geographically), you can't help but identify with it more. I've been only sporadically looking at the news this past week, because I don't want to hear political analysis right now. I just don't feel like going there yet, at least not during the shiva week. I'd rather let this week be what it is. There will be plenty of time for analysis later. In fact I saw a friend at the shiva who remarked on what he perceived as the difference between Jewish and Arab cultures - one "grieving" and the other "rioting." And what immediately came to mind for me was the brutal murder of 16-year-old Muhammad Abu Khdeir, which was officially revealed to be an act of revenge-terror carried out by Jewish extremists. But being right there at the shiva, I just couldn't bring myself to have that conversation. And I don't want to go there in this post either, except to say what should go without saying: Deliberately targeting innocent people, noncombatants, in acts of violence, is wrong (possibly the very definition of "evil") - no matter who does it, and no matter what religion or nationality the victims are. It seems to me that all the focus on questions about the "truth" of Judaism is a sort of "fetish" that only a specific segment of the Jewish world even cares about. And I plead guilty. But the reality is that it's entirely possible to live your life - even a very Jewishly-identified life - and never give a thought to these kinds of questions. So even though some of us might think that Jews and Judaism either stand or fall based on the "truth" - the truth is that's not what's happening out there. On the way home, my wife and I reflected on the sadness of the loss, and consequently on needing to be good to each other, to love and appreciate each of our kids, and to grab hold of each precious day together. And that alone was worth the trip. I came upon a blog post entitled "The Revelation At Sinai Was Real," by Rabbi Adam Jacobs. 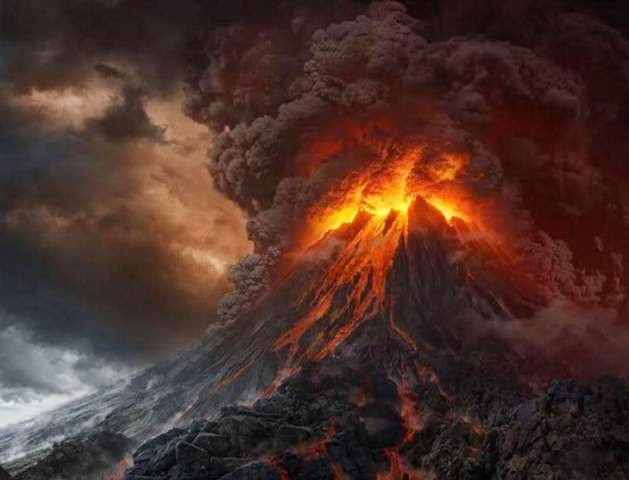 The blog is called "Shaken Faithless" and was created earlier this month with the purpose of providing answers to those whose faith in the historical/factual/supernatural veracity of the Torah has been "shaken." The blog owners at least claim to be taking a respectful and thoughtful approach. In their words, they deem: "The inconsistencies in classical Biblical texts described by academic Biblical Criticism," "The challenge posed by science to traditional religious narrative," and "Fundamental questions about the existence and nature of God" to be "important challenges" worthy of addressing. If indeed they take people's sincere questions seriously, that is something which would certainly earn my respect. I have many such questions, some of which I enumerate below, so we will see if they are ready and willing to meet the challenge. The following is my response to the blog post linked above. Just a quick introduction - I'm a Jew in the Orthodox community, involved in Torah learning and observance, but who has come to a place of non-belief in the supernatural "backstory" of the Torah. It was my intellectual journey that brought me to these conclusions - nothing to do with negativity or discontent with frumkyte. I just happen to take the "pursuit of truth" - and consequently, the eschewing of falsity - seriously. If I may, I'd like to address what I identify to be the "weak points" of your argument, which is to say the argument that is often made to prove the factual/historical truth of the Revelation narrative. First, I'd like to start with your analogy to Washington and the Revolutionary War. "Nonetheless, what’s one facet of the general disagreement that the Colonists and their former patrons across the pond could readily agree on? That the war occurred, the generals led, the battles raged and that the United States was born as a result. No sane person ever suggested that it was all just an elaborate hoax, or a myth." 1) Historians of the Revolutionary War do not claim there to have been overt miraculous or supernatural events associated with the war. Therefore, there is no reason to question the veracity of the event, any more so than any other historical account. Whereas, to claim that the Creator of the Universe Himself, God, spoke to the Israelite nation and issued commandments, is an extraordinary - that is to say "well outside the ordinary" - claim, and therefore one which people ought to be skeptical about. If I were to tell you the story of Christopher Columbus sailing to the New World, but with a horde of angels, celestial superbeings, guiding the way, that would be an entirely different claim than if I told the story the way it is typically presented in history classes. Yes, the history may be mistaken in various respects, and we can debate that, but there is nothing in the story that is inherently suspect - that is, until I introduce the "angels." Why does that render it "suspect"? For common-sense reasons. The vast majority of us don't see angels around us. I have never seen an angel, and people I know and speak with every day haven't either. Yes, I understand that there are probably tens of thousands of people alive today who do claim just that - that they have "seen" angels. But a reasonable person will say that there is certainly another, more likely explanation for this phenomenon - e.g. that the person was hallucinating, that the human mind is highly vulnerable to imagination, self-suggestion, etc. After all, people claim to see ghosts, Jesus, demons, all kinds of supernatural entities - but that doesn't mean these claims are true in the "objective reality" sense. Reasonable, thinking people should be skeptical when they hear such claims - even (and this is the difficult part) when they come out of their own traditions. 2) The Revelation at Sinai is a narrative that harkens back to a very, very different time in human history than the one we live in today, including the time of the Revolutionary War. In fact the entire concept of "history," and the telling of histories, was different. Aside from the dry retelling of "events," just about every culture told legends about its past, often ones involving gods and supernatural intervention. Doing so imparted a people with kavod (honor). If you were a people of standing, honor, a force to be reckoned with in the world, then you were created and guided by the gods. Or put it the opposite way: To live in the ancient world and not have gods involved in the story of your people, not an integral part of your life and society, would be like saying you have zero worth. It would be completely "unseemly," undignified, an insult to the people. That is how the world worked - everyone had their god(s), served their god(s), told stories about their god(s), received their morality/teachings from their god(s), and were given a sense of self-worth and value through attachment to their god(s). So yes, history - that is, real events - were deliberately mixed with legend. And people likely believed these legends, since they also believed in gods and in general possessed a mentality entirely foreign - perhaps inconceivably foreign - to the modern mind, the latter of which is utterly consumed with the need for "proofs," "facts" and "logic". Like I say, it was a very different world. And using the modern mind to make sense of it causes us to mistakenly assume that they would not - and could not - have told or written a story if it wasn't "factually" true. Try to think objectively for a moment. What is the simpler, more plausible scenario: a) That every people had gods, told stories about gods and supernatural happenings, but that only our story actually happened literally/historically as written, whereas theirs were entirely made up, or b) that we are scrambling desperately to find ways to show that our God-narratives are different, "historically true," when in fact our stories were simply a product of the world in which they were told, like everyone else's? At the very least, can't you see how it would be "reasonable" for someone to choose (b) above? If so, there should be no reason for Orthodox tradition - or its adherents, frum Jews - to look disparagingly upon skeptics as "heretics." We are simply people committed to trying to be objective and truthful about reality, and therefore true to our ideals. We see that as a ma'alah, a positive trait, and we also see it as a ma'alah to follow the path of truth even when others deride us for it. One more thing - I'd just like to respond to the claim that mass-revelation is unique, and that it proves the "historical truth" of the event. "[W]hen large groups of people experience an event together ... it becomes part of the collective conscious of that people, or groups of people and is passed on as what we later call 'history'." Let me cite another alleged "group experience" and see how you respond. Here's an excerpt from an article entitled "Jesus Feeds the 5000 - Bible Story Summary: The Miracle of Jesus Feeding the 5000 Proves He is the Messiah." • This miracle when Jesus feeds 5000 is recorded in all four Gospels, with only slight differences in details. It is a separate incident from the feeding of the 4,000. • Only the men were counted in this story. When the women and children were added, the crowd probably numbered 10,000 to 20,000. Jesus performing miracles in front of thousands is indeed part of the "collective consciousness" of Christians throughout the world, and for believers it is taken as "historical truth." The author of this article in fact presents it as a "proof" that Jesus is the messiah. After all, how could that many people have witnessed this event and the story simply be "fabricated"? How could the gospels, written just a few decades after the death of Jesus, have all told a story that no one had ever heard of before? Clearly the story was well known. When then was it "made up"? How could it have been made up? Now, as a reasonable, discerning person (or at least one striving to be), I would say that the very fact that the story includes such an extraordinary, outlandish claim is itself enough to tell us that there must be a simpler, more down-to-earth explanation for how this story developed. In other words, before I even begin to offer an alternative, I am already skeptical - and for good reason: You can't make fish and bread appear out of thin air! So notwithstanding all the "proofs" offered, there must be another explanation. It must indeed be possible for these kinds of stories to develop and spread organically over time, such that large masses of people believe them - and yes, even when thousands of people are alleged to have "been there" when it happened. It could be that there was a real event which was subsequently embellished over time with supernatural "trimmings," or maybe not. It's an interesting question to ponder, but it doesn't have any bearing on whether I, as a rational thinking person, actually "believe" the story as it's told. Now let me ask you again, which is more plausible: a) That the story of the Revelation at Sinai, which is alleged to have occurred some 1300 years prior to the story of Jesus, has details to it that offer so much greater "proof" than the Jesus story, proofs so strong that they "trump" what reasonable people (including you) otherwise dismiss out of hand as myth, so powerful that we're willing to put aside everything we know and experience about how the world works, that we're ready to violate the rules we apply in all other cases for distinguishing fantasy and myth from reality, or b) that in truth, we are all very much susceptible to being nogea b'davar, being so attached to certain beliefs (as our whole lives have been constructed around them) that we cannot see that we are simply rationalizing the irrational, and that our beliefs are not so significantly more "reasonable," more of a "proof", than those of our Christian brothers and sisters, that in fact we are all simply choosing to overlook the obvious in order to justify our beliefs? And again, even if you think you are being completely objective, that everybody else is falling victim to being nogea b'davar whereas you alone are immune to that, can you not see how a skeptic like myself might be a bit... skeptical? Can you see how my line of thinking - far from constituting blasphemy or rabble-rousing - is in fact reasonable, or dare I say, even commendable? At the end of the day, one has to decide whether to be a "committed theist" (as you identify yourselves on the blog) or a "committed truthist," and by the latter I mean someone who is committed to the search for truth wherever it brings them. If you wish to be a committed theist, you may live a fine and even exemplary life, but know that your search for truth will necessarily be skewed, tainted. Why? Because you have already decided that your "search" must lead you to a predetermined destination. Which makes it not so much a search for truth as a search for rationalizations and justifications. You cannot be in the "truth" business when at the outset you are forced to conclude X and not Y, which is what the idea of "core beliefs" is really saying. And if you call it "truth-seeking," not only does that mock the idea of truth, but you run the risk of turning many earnestly truth-seeking individuals away from Judaism. 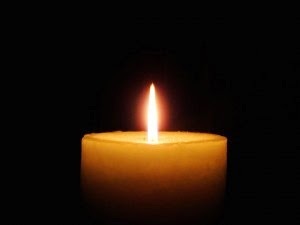 In reaction to the recent kidnappings in Israel, a call was made for Jewish women around the world to light Shabbat candles in the merit of the missing boys. In already-observant circles, the suggestion was made to light extra candles or to light earlier than usual. My wife did the latter. Did she light early because she sees the act as a segula, a sort of "charm" or "technique" for aligning spiritual forces in our favor? Certainly not. Did she do it, as most people spoke about, "in the merit" of the boys, meaning that if we accrue enough favor with Hashem, He will change His decree and grant the boys' release? No, that was not her intent either. Why did she participate then? Because 1) it was a "symbolic" act, an act of caring, of keeping the fate of the boys, and the anguish of their families, in our minds and hearts, and 2) it was something undertaken by the community, an expression of solidarity and compassion ("compassion" literally meaning to be together with someone in their suffering), and that is something she wished to take part in as well. It's the same for all the extra prayers and Tehillim being said. Even if one doesn't believe either in word magic or in "storming the heavens" with prayer in hopes of acquiring merit, there is a place - along with any direct, concrete help one can provide - for doing something additional in order to keep the suffering of others in mind, so as not to forget them as we go about our daily lives. Yes, certainly there are millions of other people suffering throughout the world - at the hands of human cruelty, neglect, and simply very bad luck - and our hearts should be with them too. I've said before that my atheism, in the sense of "active disbelief", relates to the Biblical God. The possibility that there might be a single Creator of the universe however is something I remain "agnostic" about. I simply don't know, and I tend to believe it's rather impossible to know. Now, some who believe firmly in God as Creator cite the First Cause argument. "The universe didn't come from nothing - clearly it was started by a First Cause, a Creator. Therefore God exists. Are you with me? And this is proven by science - we know now that there was a starting point, a Big Bang. Well, that's exactly what our tradition says: "In the beginning, God created the Heavens and the Earth." That same tradition also states that God spoke to Abraham and later to Moses and imparted His eternal instructions. Yes, the very same God! After all, if logic dictates that the universe must have been created by God, then logic also dictates that God didn't create it just for fun - He must have had a plan. Agreed? Now if He has a plan, wouldn't it make sense that He'd want us to know about that plan? Wouldn't He reveal the plan? Okay, well that's what our religion has been saying for thousands of years: Here's the plan! We're His plan. And everything He wants us to do is written right here [points to Bible]. God is perfect, which means the plan - i.e. His commandments - are perfect, which means the Book that describes that plan - the Torah - is also, by definition, perfect. Also perfect is God's love for us. He must love us - otherwise, why else would He have created us? And all God wants is for us to love Him back. How? By having a relationship with Him, by emulating His ways, and by having the great honor of being a partner with the one and only Creator of the Universe, by keeping His commandments and thereby helping His great plan come to fruition." Whoa, hold on a second while my head stops spinning... Okay, what just happened? We started from a "logical" First Cause argument, and somehow slid (think of a "slimy" surface on which things are prone to slide) into the idea that the Torah is the word of God, and we now need to keep the commandments. Wow - neat trick! Now, I'm not saying this is the manner that a person would necessarily be convinced of divinity of the Torah. There are all sorts of arguments that may cumulatively come to bear, from the "miracle" of Jewish survival, to the "miracle" of the near-flawless transmission of the Torah text, to the near-impossibility of a mass revelation being "made up", to the Torah's inexplicably knowing there are "exactly" four mammals with only one kosher sign and not the other, to the statistical wonder of the "Torah codes" embedded in the text, and so on. And certainly there are a myriad of emotional reasons (community, connection with individuals, families and rabbis, personal "encounters" with God, miraculously improbable events experienced personally or given over via anecdote, and simply being "told" as much, over and over again in books, classes, etc.) which help to bring a person to the conclusion that Torah must be the absolute Truth. In fact, this is a useful tactic for lulling a person into a state of suggestibility and openness - just exhaust them by giving argument after argument, anecdote after anecdote. However, the question I have is why even bring up the First Cause argument at all? It has nothing whatsoever to do with the proofs for the Biblical God or the divinity of the Torah! After all, even if "logic" dictates that a Creator (God) must have kick-started the universe, the "First Cause" argument is exactly that - arguing for a "first" action which set everything into motion. It says nothing about any subsequent action taken by the Creator. It says nothing about the "purpose" of Creation. It says nothing about whether the Creator "loves" us or not, whether He has any expectations of us - or whether He's a "He" for that matter! And it certainly says nothing about the "authenticity" or "authoritativeness" or "perfection" or "binding" nature or "divine" nature of a book written/compiled some 2500-3300 years ago that alleges that God spoke to certain individuals and issued a set of commands. The only reason to bring up the First Cause argument (like we said above about inundating people with words) is to lull listeners into a state of "openness". By having to "concede" to one argument, the listener now has her/his guard down and is expecting that the next things which are stated have equal argumentative, "logical" force (especially when the person incorrectly uses the word "logic" to describe their arguments!). But the truth is, everything subsequent to the First Cause argument is pure speculation, based on what seems "reasonable" to us. There is no "logic" dictating that simply because a text cites the existence of a Creator of the world (again, assuming that is derived by logic) that this text must also be "right" about everything else it says - or indeed anything else it says. And the ideas of "love" and a "plan" are exclusively and transparently human categories, and it's just as (actually, I would say "far more") reasonable to say that what this book chronicles is man creating God in his image, not the other way around. That is the "bait and switch" of the First Cause argument. So caveat emptor - let the buyer beware! I have a basic one-off rule about lashon hara (gossip/unkind words): If you wouldn't say it in front of the person you're speaking about, then best to keep it to yourself. In other words, only speak the way you'd feel comfortable speaking if that person were there with you. What I want to offer in this post is a similar principle: Only say things to your "in-group" that you'd feel comfortable saying to others. "On Shabbos I spoke to my kids, and I said that Rav Steinman spoke that lemeisa [for practical purposes], we have today Haman and Amalek - all this government [of Israel] - and really the way is to take knives and to kill them, just as with the Yevanim [Greeks]. This is what Rav Steinman said. You have to take a sword and to kill them." "So why are we not doing it? Because he said, 'I don't know yet who is the general who could run the war. But if I would know who's the general, we'd go out with knives.' This is what Rav Steinman said. There's a war against religion..."
"I explained this to my kids... Then, in the middle of the meal, my kid, five years old, says, 'Abba, we don't have a sword in the house, I'm looking - maybe a hammer is also good?' I was very happy, I gave him a kiss... I was so proud of my son. He's looking for a sword to kill all these government ministers." Quite a mouthful. It's unnerving and obscene, and - well, also fairly prosaic. When you've spent enough time in the frum community, you know that statements which are offensive, racist, sexist, arrogant, elitist and triumphalist, statements which revel in the idea of Hashem's destruction of non-Jews or non-believers, are said as a matter of routine, by leaders and laypeople alike. They're said without anyone batting an eyelash. In fact they only boost the speaker's "status" in the community - because hey, here's a person who "says it like it is" and doesn't mince words. Here's a person who doesn't "apologize" for the Torah tradition but instead takes a strong and unabashed stand, like a faithful soldier in Hashem's army should... etc., etc. And yes, for the most part, these kinds of statements are a lot of "hot-air." Yeshiva students don't generally leave classes like the one given by R. Kaplan and take to the streets in violence, nor do they typically plot anyone's demise. (Yeah, tell that to Yitzchak Rabin.) No, they basically just go back to the beis midrash like normal and carry on with the business of learning. And any teacher at the Mir would be horrified if one or more students were to do otherwise and actually "act" on his words. That's the blessing and curse of "charedism" - lack of concrete action. It's a mindset which says: We aren't "big" enough (spiritually) to make changes to the system, even when such changes are arguably logical and necessary, and we also aren't "big" enough to do things like slaughter Amalek in the form of Israeli government officials. No, we have to wait for Moshiach to come and tell us all what to do... Which basically means existing in a perpetual state of suspended animation. Like I say, it's either a blessing or a curse, depending on the issue. But just because yeshiva bocherim aren't incited to riot immediately after hearing a talk like that, doesn't mean that the words aren't seeping, one talk at a time, into their brains. It doesn't mean that it doesn't plant the seeds of violence. Clearly it does. The rioting and anti-government violence which breaks out intermittently in places like Mea Shearim and Beit Shemesh doesn't come from nothing - it's fueled by every seemingly "innocuous" hot-air statement made in yeshivas and shuls, and said offhandedly 'round the Shabbos table between spoonfuls of chullent. "I am completely against such words. They're disgusting. I regret what I said, and I am deeply sorry for using such examples. I am also sorry for hurting people’s feelings, and I hope they can forgive me." "It is an aveira [sin] to do such a thing [i.e. to kill Israeli ministers]." But what does such an apology mean? Well, for starters it should be clear that R. Kaplan's apology would never have been issued if he hadn't been taken to task, if his words didn't go public. There's no question that he desperately needed to cover his - and the Mir Yeshiva's - "behind" here. I take him at his word though that he sincerely regrets having caused people upset and alarm as a result of his talk. That's a pretty "pareve" thing to say: "I'm sorry if what I said hurt you." Then the question comes whether his apology means that he's actually changed his mind and now disavows the beliefs themselves, the same beliefs he's been espousing for years and which are standard fare within his in-group. Some excuse his statements as "hyperbole", an exaggeration, which people have done the mistake of taking literally. But how is making it sound like it's a mitzvah to kill Israeli ministers a "hyperbolic" way of saying that it's in fact an "aveira"? A mitzvah isn't an "exaggeration" of an aveira! So what does he believe in fact? Honestly, I'm not so concerned with that question. To me, the question of R. Kaplan's "true beliefs" is far less important than whether ideas like this will continue to be spoken and heard - whether they'll stay in circulation. Because when you take an idea out of verbal circulation, you in fact help to curtail that belief. I'd like to think that people would remove ideas like R. Kaplan's from circulation because they're loathsome. However in reality, it happens not "lishma" (for the right reasons) but instead out of fear of transparency, concerns about the backlash that will occur when you can't keep the "in-group" and "out-group" hermetically compartmentalized from one another. In essence, Rabbi Kaplan, via the fiasco he brought upon himself, backed into the principle: Don't say to your "in-group" what you wouldn't want others to hear. It's a principle that works to take extremist ideas out of circulation. How so? Because people start to talk much more reasonably, sensibly, and moderately, once they're aware they may be speaking to a wider audience. Which is why the "Kaplan Affair", as disturbing as it was, is really a good thing - because it further plants into frum people's minds that what they say is increasingly vulnerable to exposure to the "out-group". With transparency (i.e. mobile/internet communications, videos, etc.) ever on the increase, you never know when your words will come back to haunt you. That kind of fear is pretty useful, I would contend, because it helps to rein in some of the "crazy". And hopefully, over time, that will work to generate a little more sanity. Israeli Holidays - the new "God"
I know the title portends an anti-Zionist tirade, as if the Israeli holidays constitute some kind of "idolatry", but actually I meant it as a compliment. Let me explain. In antiquity, part of what gave a people "standing" (in their own eyes and in others' eyes) is that they had a good origin myth. It had to convey a sense of growth and development, overcoming human foibles and trials - making mistakes, falling into traps, and climbing out a better person for it. The story had to teach something valuable for generations to come, give over lessons and rules deemed essential to the aspirations and character of the people. But just to have a "story" - even a good one - about the comings and goings of mortal human beings was not enough. The myth also had to have a god, or multiple gods. When you have gods involved in the formation of your people, that means you are a people of significance. You - your culture, your values, your practices - mean something. Or put it the opposite way - not to have a god or gods in your people's story would be completely unseemly! In a world chock full of gods, where "everyone who was anyone" had theirs, if the gods had no intervention in the lives of your forbears, if there was no divine hand in your people's origin, to put it simply - you'd be a nobody. To tell a god-free narrative just wasn't done. It wouldn't be fitting, wouldn't be dignified. It would cheapen your worth - and sense of self-worth - as a people. Which brings us to the title - that Israeli holidays are the new "God". Here's the State of Israel, a new nation on the international scene. Aside from setting up a governing structure, utilities, trade relations, etc., what kinds of things does a "proper" nation do? Well for one, a proper nation celebrates its independence day. A proper nation has a memorial day to mourn over and pay respect to its fallen soldiers. A proper nation commemorates events of major magnitude - both joyous and tragic. Can you imagine a country not doing these things - not celebrating its independence, not having a memorial day, not commemorating events of massive significance? What kind of self-respecting people would you be? That's no nation! The Israeli holidays thus function something like putting "God" into the narrative. They, as well as other trappings of a modern state, help to give the nation "standing". It's part of the national psyche/self-esteem, and it's part of living in a world of nations. So then where does that leave the "old God", as in God? Well, as far as the State of Israel is concerned, God is a part of "Jewish culture", and there's a place for Jewish culture to weave its way into the national culture. I'd say there's even a place for a country to express a certain "deistic" self-identity, if that's where people are at. Sentiments such as "one nation under God" can help lend an atmosphere of purpose, humility, morality and underlying spirituality. And that can be a good thing, providing it remains innocuous and non-invasive. But once a nation starts to justify itself, its policy decisions, the wars it fights, based on what it alleges to be the "will of God", not only is that undignified - it's certifiably nuts, and it has the capacity to become pretty darn scary, both for its own citizens and for the rest of the world. To me, the ideal is a secular State with Jewish overtones - which has national holidays, and Jewish holidays, and which keeps God out of law and policy. And what we have now may be far from perfect on these counts, but it's pretty good - and I'm grateful for that! With that, I wish everyone a meaningful Yom Hazikaron, and a happy Yom Ha'atzma'ut. 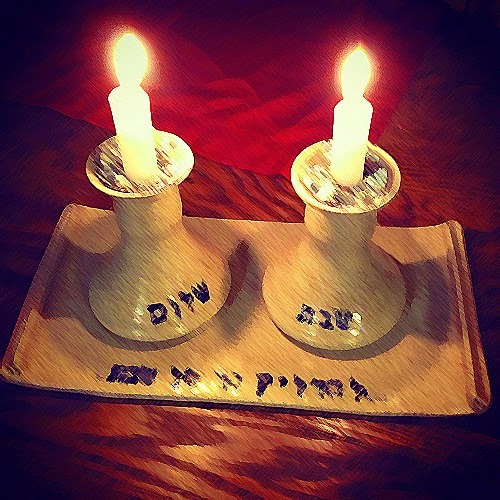 "These candles are holy, and we do not have permission to use them - only to look at them." That's how I'd like people to treat Yom Hashoah with regard to the "God" issue. Sure, if people have questions about how God could allow such a thing to happen, that's natural. It's not a question I have, but I understand it. But to start saying on Yom Hashoah, "Because the Holocaust happened, therefore we know that God [insert ideological sentiment here]" is something I find personally distasteful. Mind you, I'm referring to both sides of the spectrum of belief. I'm talking about the God-believers who want to use Yom Hashoah to make an ideological point about the secularization of Jews in Europe - i.e. that they "caused" the Holocaust. And I'm also referring to atheists who take Yom Hashoah as an occasion to make the point: "See, that proves God doesn't exist." Point being - sure, you may be thinking these things. You may even believe it with every fiber of your being. But please, for one day a year, let's focus on the memories of the millions of people whose lives - and children - were ripped from them. Let's focus on the unfathomable scope of what took place, the calculated murder and torture on a scale so massive it can't be comprehended, and that it all happened practically a handful of years ago. Let's take the time to think about just how easily the human mind can be swayed, twisted beyond recognition, how supposedly "civilized" people can come to do things that are so mind-bogglingly horrific, so unspeakably cruel. Let's remember the stories of all those who showed incredible courage and humanity in Nazi death camps and work camps, in ghettos and cities, in cattle cars and on death marches through the icy cold. Let's focus on the resolve to do whatever it takes to see to it that such a thing doesn't ever happen again. That, to me, is Yom Hashoah "lishma". That honors people's memories in a way that's dignified and befits the day. But to use it to make a theological point, or an anti-theological point, is exactly that - to "use" Yom Hashoah. "Ah", you say, "but getting rid of God is the best way to ensure it doesn't happen again..." (or alternatively) "but stopping secularization is the best way to ensure it doesn't happen again..." You know what? I changed my mind. If you really in your heart of hearts believe that, fine - say it. But if you're really just using the day as another opportunity to "prove your point" about God (and I suggest you meditate on that for a moment), you have 364 other days on which to do that. All I ask is that you make this one day a year "kodesh". There's a post currently making the rounds from George Takei's (a.k.a. Star Trek's "Sulu's") Facebook page, which after one day has over 350,000 likes and 260,000 shares - so people obviously resonate with it. 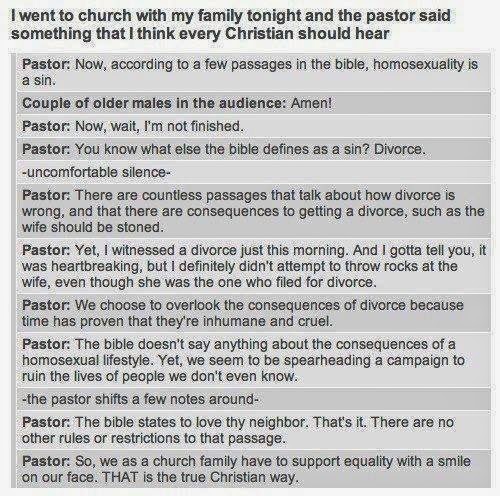 It's a "quote" from a pastor's sermon (real or fictitious, it doesn't matter), which cites a religious double-standard: We don't listen to the Bible (in this case the Christian scriptures) regarding the severe way it deals with divorce, but yet we're happy to accept the Bible's severity regarding homosexual relationships - and "ruin the lives of people we don't even know". In other words, we cherry-pick Scripture where it suits us. Of course, the pastor is hardly the first to point this out. The "cherry-picking" criticism is regularly thrown into religious people's faces. They cherry-pick verses which are convenient for them, which fit into their philosophy, and then "conveniently ignore" others which don't. Same thing with practices - they do the ones they want and ignore the others. But for me, there's absolutely nothing wrong with that. In fact, it's the only sane thing to do. Why? Because the Bible is not written by God - it's the product of human beings. So naturally, it contains things we might agree with, relate to, want to incorporate into our lives as part of a religious/cultural tradition, and it contains other things that we can in no way can accept nowadays and need to reject. 1) We also have a tremendous amount to learn even from those things we disagree with, maybe just as much as the rest. So when I say "cherry-pick", I mean for purposes of identifying those things we agree with and wish to uphold. 2) The difference between the cherry-picking I'm talking about, and the cherry-picking that typically goes on in religious circles, is that for me it's important to be open, honest and explicit about it. In other words, rather than just brush certain verses under the rug which don't fit our religious philosophy (by pretending they don't exist or reinterpreting/sanitizing them) and denying the fact that this is religious cherry-picking, I say: Be a proud and vocal cherry-picker! Say it straight - that you're picking X and rejecting Y. That's really the difference between fundamentalism and "choiceism". One views the text of the Bible as God's immutable word and therefore can't admit that it cherry-picks (or worse, doesn't bother cherry-picking!). The other looks at the Bible as an imperfect (or "perfectly human") document, cherry-picks as a matter of principle, and takes 100% responsibility for the choices it makes. And I'll state unabashedly: I'm a "choicist" through and through. How can we continue with Judaism if there’s no historical Exodus? Isn’t that living a lie? Well, that all depends on how we view Judaism. For me, Judaism is not about what “is” or what “was” – it’s about the kind of people we seek to be, the kind of society we wish to build. And if the reason we haven’t found any substantive physical evidence for the Exodus is that it simply never happened (at least not in any manner resembling the Torah narratives), then that makes the above point even stronger. Because the legend was obviously told that way, carefully crafted and highly embellished, to convey a teaching, and to build up the story so as to give that teaching weight, to help it “stick”. Torah after all means “instruction”, and the main point of that instruction (many of the unsavory details notwithstanding) is to get us to enter into a covenant – with ourselves – to be a “holy nation”, i.e. to create a moral, elevated society. And that is a national calling I believe we can all relate to, even today. 1) The idea that the Torah (written or oral) is "the word of God" is nothing less than pure fantasy, and it’s time we face up to that like mature adults. 2) Religious observance (even filtered through a more “modern” Talmud) is hopelessly inadequate for the purposes of creating a moral, elevated society – to today’s standards, at any rate. Well then, if producing a moral, elevated society is the goal, what’s the point of religious observance, the whole tradition, or being “Jewish” for that matter? Why not just be ethical humanists? Why maintain the “Jewish” label altogether? Because, at least for many of us, we want to continue to “be” as a people. Simple as that. And there’s no shame in wanting to survive, in wanting to maintain self-identity as a group. It’s human to identify with a distinct culture, to have a set of traditions and rituals you call “home”. It’s stimulating to have such a vast and rich intellectual tradition to relate to. And as long as we get to choose how – and to what extent – we relate to that tradition, as long as it remains meaningful and enjoyable and doesn’t become a burden, as long as the “particularist” aspect doesn’t hinder our “universalist” aspirations (to the contrary, it can and should be used to inspire such aspirations), then our “Jewishness” can be affirming, positive and vitalizing – useful as both a means to an end, as well as an end unto itself. So... No, it doesn’t look like the Exodus story has much historical veracity – not even the non-supernatural parts. But for me, that’s irrelevant. The Exodus is a part of our national “story”, and for that reason alone it’s something we’ll always come back to. We may be inspired by parts of it. We may object to parts of it and actively disavow those parts. But it’s a win-win proposition – either way, we can use those feelings, those reactions to our tradition, to help chart our way forward, to continue deciding who and what we’re about. And that, to me, is a very “authentic” Judaism – because it’s the story we create for ourselves.